OTech: Modality to PACS connection: Plug and Play? Modality to PACS connection: Plug and Play? One of the common complaints from PACS administrators is that they are typically not included in the planning process to connect a new modality to the PACS system. A typical interaction might be: “Oh by the way, can you check on Labor and Delivery tomorrow as they are getting their new ultrasound unit and they want to connect it to the PACS.” One expects that these new devices are just “plug and play,” however, not only is this far from reality, but it is also poor practice to connect a new device and just “see if it works” as the integrity of the system can be jeopardized. So, what are the steps to take to prepare properly for a new modality installation to increase the chance that this will go smoothly? Of key importance is that you need to be involved with the planning process. If you are not aware when these new connections are going to happen, you often are faced with issues that could have been prevented. Unfortunately, with regard to the planning process, it is like the chicken and egg problem. if you have not been able to demonstrate that proper planning saves time and money, they might not involve you in the planning, and if you are not involved from the start, you aren’t able to demonstrate that initial involvement pays off. I don’t have a solution for this except for diligently probing what is happening so you can get involved. 1. Prepare the network and addressing infrastructure – If the unit is going to be at a fixed location, you need to make sure that the physical network connection is available, in the case of a wireless connection you need to work with IT to provide a reliable connection that is fast enough to facilitate querying a Worklist and sending images. Assuming that you use a VLAN in radiology, you need to work with IT to make sure that the routers are configured to allow access to the devices that it will need to communicate with. An IP address needs to be assigned, as well as an AE-Title. Good practice dictates that the new device uses a standard port number for the DICOM connection that is assigned by the IANA to be 11112. I hear from some of PACS administrators that service engineers are sometimes hesitant and initially unwilling to assign the port number and AE-Title that you are assigning to the device, but I suggest that you not give in and insist that they follow the rules and conventions of your institution. 2. Request the DICOM conformance statement of the new device – Compare this document with those of the devices the modality needs to interface with, which is first of all the PACS and second the specifications of the Modality Worklist provider, which might be in the PACS, RIS or provided as a separate broker. This also requires a bit of persistence, as in many cases, your interface with the vendor is through their sales channel and in my experience they often provide incorrect or out-of-date documentation. Make sure that the documentation meets the exact version and model number that you are installing. 3. Check compatibility for image and related information to be exchanged – Using the conformance statements, check if there is anything that is sent by the modality that might not be supported by the PACS. Examples are: a new, enhanced CT or MR image type, for mammography the support for the new breast tomosynthesis images, for ultrasound the support for Structured Reports containing the measurements, for a CR a DICOM Presentation state that contains shutter information, for a CT a dose Structured Report, for mammography again, the support of CAD marks, for a cardiology device support of IVUS (intravascular ultrasound) or IV-OCT (Intravascular Optical Coherence Tomography), and so on. If support at the PACS is lacking, one might consider an upgrade of the PACS software, which in many cases is unlikely to happen in the required timeframe, which means that you have to work on either a work-around or degrading the modality to send an older, well known and supported image type. Examples of workarounds for dose Structured Reports are screen shots, for enhanced objects maybe using “conventional” CT, MR objects; for breast tomosynthesis it might mean falling back to proprietary solutions and doing the diagnosis at a modality workstation. Note that some of these fallbacks have major impacts on workflow. 4. Check the Modality Worklist interface for its filtering capability and completeness – If the new modality is a replacement and/or addition to an existing set of modalities sharing the same workload, one can reuse the Modality Worklist settings of the old unit. 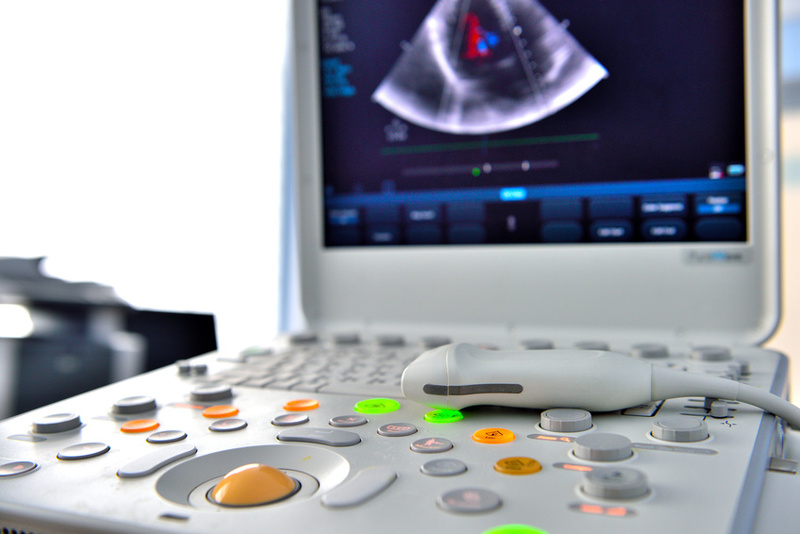 Examples are adding an ultrasound to an existing department or an additional portable digital X-ray unit. However, if you are installing a modality that is new, let’s say a dental panoramic X-ray unit, a bone-density device, a new IVUS in cardiology or a new outpatient CT, you need to prepare the Worklist provider or broker so that the query for the Worklist from this modality provides only the procedures to be done at the new device. Note that the Worklist information is created by converting the orders encoded in a HL7 format, which includes a procedure code and NOT the modality code (e.g. CT, MR, US, etc. ), therefore, the broker decides based on the procedure code which modality is going to be performing the study, which might not always be a sufficiently enough discriminator. Examples are a dental unit and radiology unit both sharing “CR” or a radiology and cone beam CT in dentistry sharing “CT,” or an in- and out-patient CT that needs a different Worklist. In these cases, other information in the requisition such as whether it is an inpatient or outpatient, or certain procedures that identify the specialty, need to be mapped to a certain location indicator (Station Name or scheduled AE-Title), which can be used as a filter by the provider. In addition to being able to filter the Modality Worklist so that it only displays the procedures to be done at that specific modality, one should also check the worklist contents. Depending on the modality, certain information such as pregnancy status, weight, allergic reactions, contrast allergy and others, depending on the specific workflow and practice in the institution, might need to be retrieved and displayed. If certain information is missing, one should develop a work-around, which could be as simple as mapping that information from the header in a “comment field,” or, less preferable, in a non-used field. Hopefully one can avoid the need to access the RIS, EMR or other source of the order information and all of it is provided in the Worklist, but in a worst case, that might be the only option. The key is to be prepared for these workarounds and develop them upfront instead of discovering after the fact that it is not working. 5. Simulate the modality connection – One can use a modality simulator such as OT-DICE or DVTK that can request a Worklist that mimics the query of the new modality by using the same addressing (station AE-Title, IP address, port number) and uses the same filters for the queries. This requires scheduling dummy procedures and having the Worklist provider configured to do the correct mapping. Configure this at the PACS side as well, as most PACS systems also require that the new AE-Title be added to the list of devices that are allowed to communicate with the database, and, if applicable, pull images from the archive. In a best case scenario your institution has a test broker and test PACS that can be used to do the testing, which is the case for most institutions, but if not, the only option you have is to use the production PACS to do this. For the patients one can use test patients, and use a test pattern for the image. 6. Simulate the PACS core and viewing capability – Get images and any other related objects that are to be generated by the new modality, such as presentation states, structured reports for measurements, dose reports, CAD marks, etc. from the vendor on a CD and import these either directly into the PACS, or even better, upload them in your modality simulator to simulate the behavior of the new modality as closely as possible. Display the images on the viewing station, and test the applicable interfaces with the reporting system for DICOM Structured Reports (SR’s) containing the measurements and a radiation dose management system for the dose SR’s. Pay particular attention to the hanging protocols, i.e. that the images are displayed in the correct presentation, which requires the interpretation of parameters such as series and study descriptions in the DICOM header. Good practice is also to run the CD data through a validator such as DVTK to find if there are any potential DICOM standard violations that might eventually cause problems. If, for some reason, you are unable to do any, or some of these steps in advance, you use the same strategy during or after the installation in case there are issues. For example, if you cannot get the new modality to communicate, first look at the conformance statements, try a simulator and capture the communication using a DICOM sniffer to see exactly what happens between the two devices. However, when possible, I strongly recommend taking the pre-emptive route as it is less stressful and better practice. I recommend creating a “new modality pre-installation” policy and have your department and involved parties sign off on it. It would contain a checklist of the items to be reviewed prior to installation. Similarly, there would be a “new modality installation” policy that spells out what to do before you allow a service engineer from the vendor to leave, which would function as a mini-acceptance checklist to prevent a call-back because something does not quite work. Assuming that you take all these precautions, the chances for plug and play are not always guaranteed but definitely much better.